Every Tuesday in Adams Apple Gay Club Chiang Mai double shots on all cocktails. 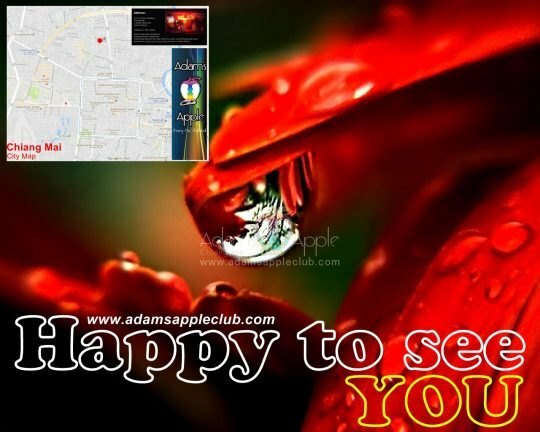 Welcome to Adam’s Apple Club in Chiang Mai – where your fantasies become reality. Enjoy a relaxing drink in our chic club surrounded by some of Asia’s most good looking young men. As handsome dancers with perfect body’s gyrate to the music, appreciate the splendour of the Asian Male watching the men of your dreams perform in our sensual dance show.